“Eating, lodging a penny in your mouth, or using a breath spray will impact the result of a breathalyzer test.” These are all urban myths. Eating can make you feel better, but you don’t want to risk swallowing a penny, and most breath sprays contain trace amounts of alcohol that can actually raise your blood alcohol level. “Most drivers accused of DWI are guilty.” No evidence exists to support this misconception. Most guilty verdicts are based on the results of breathalyzer tests, which can be entirely inadequate and unreliable. “You can’t win a DWI case.” That’s just a popular myth, but winning can also mean having a DWI charge reduced or agreeing to a plea deal that avoids a DWI conviction. “DUI is no big deal.” That may have been true decades ago, but since at least the 1980s, DWI is a very big deal. If you’re convicted you’ll face fines, possibly jail time, years on probation, higher insurance rates, and in some cases, employment trouble. 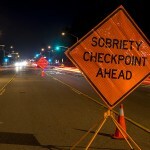 These aren’t the only dangerous ideas about DUI that have made their way into popular culture. If you drive in California, you need to know the facts. If you’re charged with driving under the influence in Orange County, now or in the future, a good DWI defense lawyer can examine the details of your case, address your concerns, and fight aggressively for the best possible result. 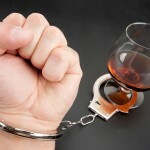 Don’t deal with a DWI charge without having an experienced DUI defense attorney at your side. 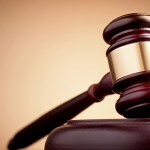 If you’re charged with the crime, speak at once with an experienced Orange County DUI lawyer.